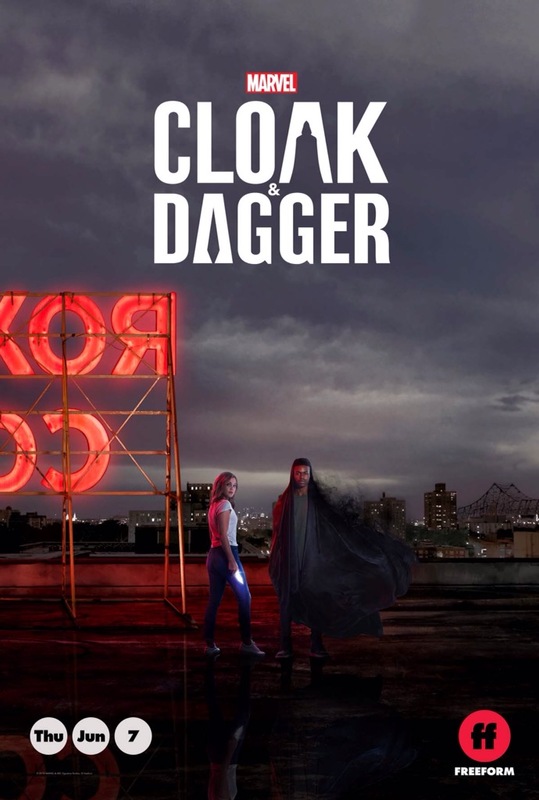 Having speculated yesterday on what Marvel’s Cloak & Dagger needed to succeed-a healthy budget and good FX (solid acting and characters easy to relate to should go without saying)–and having just watched the trailer I think they got Dagger right. Her light knives looked a bit too ‘solid’ for me initially, but on repeat viewing they seem okay. Though Cloak is a much more problematic. At least as depicted in the trailer, he comes off more like Nightcrawler than he does Cloak. It’s early days yet though I really want to see Cloak actually wearing–I don’t know–a damn cloak. Here’s how they look in the comic. Dagger’s costume looks good, though on a real woman it would look not only silly, but borderline pornographic. Cloak’s costume is…well…as I mentioned before, a cloak that works in a literal as well as a metaphorical sense. Which is why he REALLY needs to wear one. Posted in ABC, ABC Studios, Disney, Marvel, superheroes, Trailer Park, upcoming.Tagged Cloak, Dagger, Marvel Television.